When it comes to the racing genre, there are many different titles out there that crave our attention. But whilst many may sing the praises of the Forza’s Motorsport and Horizon series’, it’s fair to say the folks over at Milestone S.r.l are certainly up there when it comes to making a quality racing experience. 2018 has been an exciting year for Milestone with their hard work and dedication already bringing us the likes of Gravel, Monster Energy Supercross, MotoGP 18 and MXGP Pro this year alone, but if you thought they were done then you’ll need to think again as the Forza of the bike racing world has returned once more and RIDE 3 has arrived at the starting line. Before we get started, it’s worth noting that I’m a big fan of bikes. Having owned several over the years, using them as my mode of transportation in everyday life, I’d like to think I’ve got a pretty decent knowledge of the two wheeled masterpieces of this world. After spending just a few hours with RIDE 3, I’m also of firm belief that the folks at Milestone know their stuff too, as clambering onto the seat of any of the 230+ bikes that are currently available within the game and putting them through their paces around any of the 30 well-crafted tracks is often just as exhilarating as ramping up the speed of any of their real-life counterparts. The only difference being that we don’t need to re-mortgage the house or sell a kidney to get hands on with some of the finer machines on the market. When getting started in RIDE 3, you’ll first be sent through an early taster in navigating your bike as you take on a meaningless race. This has long been a sort of tradition in racing games – albeit never one I appreciate as I like to just get down to the meat and gravy of things, but it’s there nevertheless and you’ll need to power through to get to the good stuff. That good stuff comes in several different modes – Career, Quick Modes (which covers Quick Race, Time Attack and Drag Race), Xbox Live where the heart of multiplayer racing is, and Weekly Challenges. It is the latter which brings a pre-set bike, a pre-set track and a pre-set challenge, before tasking you to beat it… or at least come as close to beating it as possible. For me there is only one place to start in any racing game and that’s with the Career mode. I’m a fussy player when it comes to these too. I don’t like it all to be over and done in a few short hours, and I much prefer to have something that gives me a sense of progression, but at the same time I don’t like things being overly complicated to the point it feels like your managing more than racing. 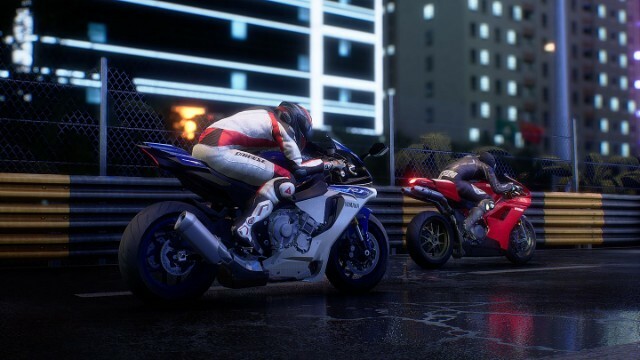 Fortunately, Milestone are usually pretty good in this department and in RIDE 3 they’ve hit the ideal Career type perfectly by bringing players a fairly lengthy and progressive career that challenges you as you play and progress through numerous race series, each of which make up parts of a magazine. Each of these mags focus on different types of bikes such as Sports, SuperMoto and even Superbikes, with some vintage classics thrown into the mix too. Within the early series races, players get a run-in with some of the lower-powered machines such as the 125cc and 300cc engine varieties, but as you progress through each series, winning races and earning stars for your efforts depending on position, you’ll eventually unlock access to some of the most iconic and unrelenting two-wheeled machines on the planet. It doesn’t take long before you find yourself riding things that are much quicker and much more competitive the further you progress, with sitting astride some ultimate speed machines the main goal. All in all, that’s Career mode in a nutshell; there’s not much more to it other than racing through various events, but it doesn’t need to be as the real enjoyment comes not from the mode you select but the gameplay when out on the track. From the moment you first take to the track, it’s easy to become lost in the gameplay. From the animation on show every time you change gear, reach for the clutch, pull the brake or twist the accelerator, to every corner and weighted lean, all the overtakes and rev of the engine, racing a bike within RIDE 3 feels just like you would expect from an actual bike. What’s more is not only does the riding feel realistic, but visually it’s quite the masterpiece. 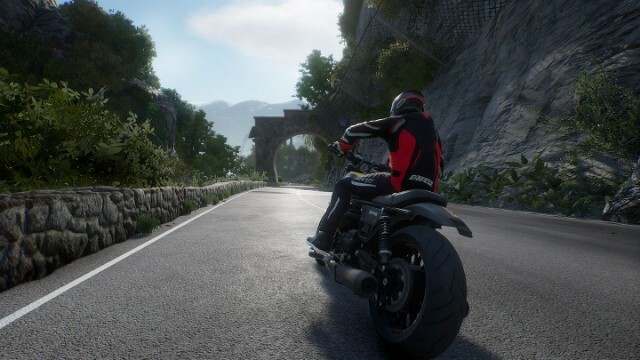 Each track has been reproduced via the use of photogrammetry to bring them as close to perfection as possible and with bikes matching their real-life counterparts with unprecedented levels of detail and realism, you wouldn’t be pushed too far to bill RIDE 3 as the Forza of the biking world. It helps that every bike in the game is officially licensed, along with all bike parts, sponsors, rider gear and so on too. At this point you’d probably expect me to be delivering some top marks, but sadly as great as it is, RIDE 3 isn’t quite the perfect game and there are a few issues that nark a little. One issue is that on frequent occasions I haven’t even able to actually boot the game due to an error message stating that the game is taking too long to start, before booting me out to the Xbox One dashboard. This may be a console problem that is affecting things, but after reinstalling the game numerous times and persisting over and over, it is only thanks to brute force and ignorance that I actually got to enjoy any time with it at all. Of course, this can and probably will be fixed with an early patch, but it’s still been an irritation that needs to be mentioned. My other issue however – and one that many will likely find equally annoying – is the fact that at the end of each race, the game is far too premature at calling a race ‘over’. For those who have watched bike racing at any time, or racing of any sort to be quite fair, you’ll no doubt agree that a race isn’t over until the vehicle in question has crossed the finish line, with some legendary wins coming within the last few milliseconds of a race. In RIDE 3 though, the ‘Race Over’ message at the end of each race is that premature that on some tracks you can still have 1 or 2 corners left to go before the message pops up on screen, leaving a good 10 second window in which there is a presumption nothing will happen. Of course, if you’ve got things set to a low difficulty for whatever reason and are out in front, then chances are it’ll stay that way, but ramp that difficulty up and you’ll soon find your opponents won’t stop fighting until both of your wheels have crossed the chequered line. This is where the ‘Race Over’ irritation comes into its own. This is of course only a minor niggle in what is otherwise a rather fantastic game, but just a few races in, you’ll be left trying to switch that message off – disappointingly you can’t! Even with those problems grating, it’s hard to be left disappointed in RIDE 3 for too long. 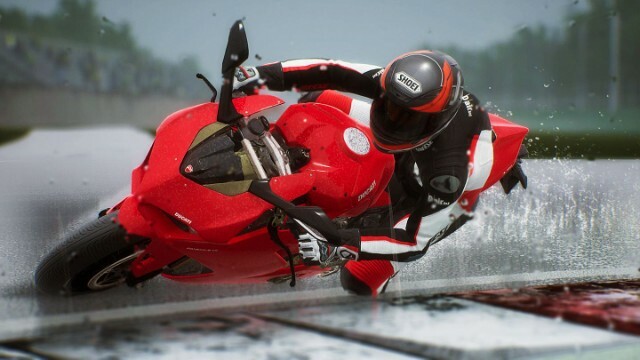 And if the racing hasn’t got you fully convinced, then there is one more option to explore and enjoy that truly brings that ‘Forza for bikes’ feel to the game. It’s one that may just be enough to convince non-bike racers to jump in. What I’m talking about are the Customisation options within the game and honestly, they are brilliant. For years we’ve seen numerous games bring us the option to create our own designs for vehicles. Now though RIDE 3 has that option and through the power of shapes, letters, tribal designs and all those other fancy graphics that people with an ounce of creativity have, there is a definite opportunity to create some truly stunning and custom designs for your bike, all of which can then be shared with others online for them to download and use too. Sadly, the best thing I was capable of after 20 minutes was a quality smiley face with a weird tribal sticker on top to replicate a unique hairstyle, but for those with a true intention and determination, the editing tool is a fantastic addition that adds multiple hours of gameplay should you wish to get stuck in. 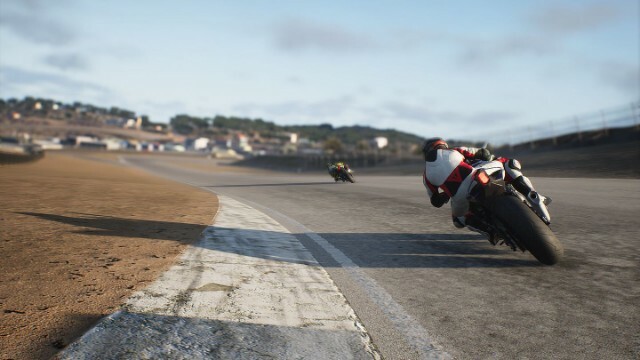 However, at the end of the day, if you like bikes, enjoy racing and have a passion for speed, thrills and all things beautiful then RIDE 3 is definitely a game you need to be getting involved in. 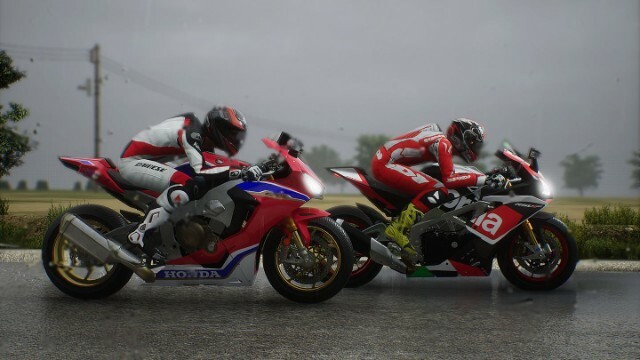 It may not have much originality in its game modes, but it does provide a quality racing experience throughout and with hundreds of stunningly recreated bikes, some wonderful tracks and hours of fun to be had messing around with customisations, there is certainly plenty to shout about with the latest entry to the best bike racing series around. Who on earth calls a race over two corners early!?! Previous articleEGX 2019 returns to London!